Whether you are selling products online, or simply want to give your contact and service details, having a website is almost worthy. Now all companies whether startup or established need to have own websites because most of the customers expect to be able to find your services information online. Before you start own websites that accomplish your needs and wants, you have to consider following tips. Think about what your customers want to know. Take the professional web developer help to design, maintain, and promote your site. Make sure your website easy for Search Engines to index in the SERPs. Update your web design, content, and contact information regularly. 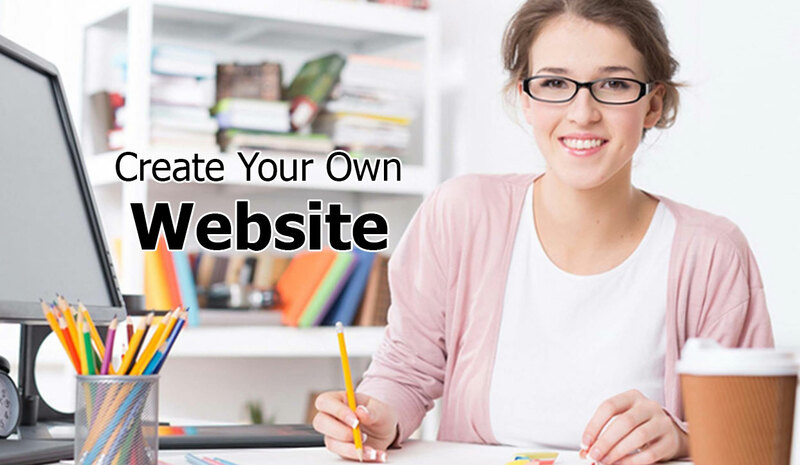 Follow these simple steps to have your own website up and running in no time !! The first very step is to decide what name you’ll give your site – for example, www.ourservices.com. Consider using.COM version importantly, before settling for an alternative suffix, like .NET or .INFO. It is because people overwhelmingly use.COM when entering a web address. Try to avoid dashes in the domain address, and use your business location to make it easy to type and remember your website name. Once you’ve chosen a domain, the next task is to select the best hosting company to host your website. A hosting company is the service provider that stores your website, display in the search engines, and transmit it to visitors. Almost all web development companies offer web hosting services with multiple domain names and email addresses. You can select hosting packages as per your requirement and the budget. Monthly or yearly fees for web hosting may vary depending on the type of your site and how many visits you get. You selected hosting [Bluehost, Weebly, GoDaddy or Hostgator] and platform or CMS [Wordpress, Drupal or Joomla] and your website are now LIVE on the internet. What is the next step? Now it’s time to figuring out what to say on your website. Any site works best when it is simple, featuring minimal text and images. Most of the websites tend to follow a standard format having the 4 important pages. Consider hiring a professional and experienced website designer to design your site if you are new to online business. Focus on developing the website compatible with desktops, tablets, and smartphones with elegant designs and themes. The logo will affect the design of your website. And a logo with vibrant colour, font, and style will create emotional tie-up with your customers and make your Brand stand out among your contendents. If you already have a logo, then perfect and upload it to use on your websites. Now your site is ready with all basic requirements,! It’s time to put them all together into a nice looking site. It is imperative to make a good first impression for website’s visitor and keeping them engaged. Therefore, follow these tips to make your prospects informative of your website. Own a well designed and authoritative website !! Own a website that reflects your business theme and reaches your target market globally 24/7. Dave Creation, a leading web development company in Ahmedabad, India offering top-quality professional best web design and maintenance services at affordable prices is a perfect destination to full fill your website needs and goals. You are just one step away to contact or call and get a quote today!